Diane Burket has been teaching piano lessons most of her life. She holds a Bachelor of Arts Degree in Music from Furman University with concentrations in Piano & Voice. Diane moved to Northern Virginia from San Francisco 10 years ago. She was a full-time commercial actor in California and is a Union member of SAG-AFTRA (Screen Actors Guild & American Federation of Television & Radio Artists). Diane is a Professional Voice Over Talent with a Home Studio. You can hear examples of her Voice Over work on the Demos page. Diane acts on-camera through her Talent Agent in Portsmouth, Virginia. Diane has taught piano instruction to children, teenagers and adults. She is able to custom tailor lessons to the students’ particular needs and desires. 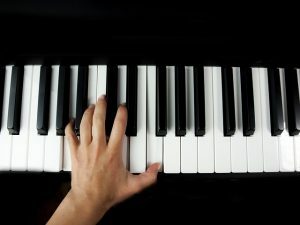 Should you wish to play piano professionally or for pleasure, Diane will help you achieve your goal. The curriculum for beginners is based on concepts presented in the Faber and Faber Piano Adventures series.